Golden Technologies companion GC340 3-wheel scooter is an ultra-compact scooter with a weight capacity of 350 lbs. The companion GC340 scooter comes with a comfortable hand placement and easy forward and reverse levers for a comfortable long ride. 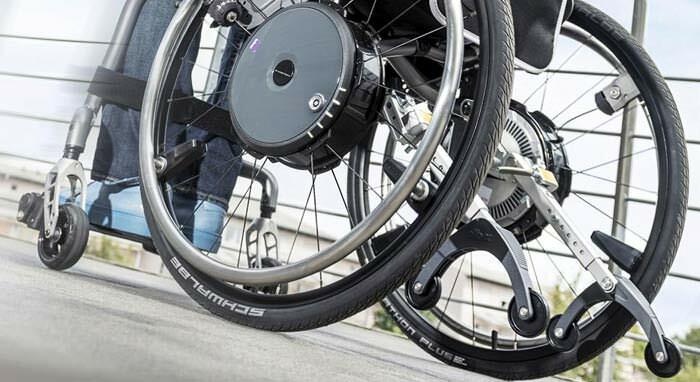 The companion GC340 3-wheel scooter has exclusive comfort seat, foldable stadium seat, flat-free tires and can be easily transported to another place. Height (back seat) 36.5" - 39.5"
Ground to top of seat 23" - 26"
Ground to top of deck 6.25"
Deck to top of seat 17" - 20"
Front axle to rear axle 34.5"
Seat with arms 28 lbs. Width x depth 18" X 16"